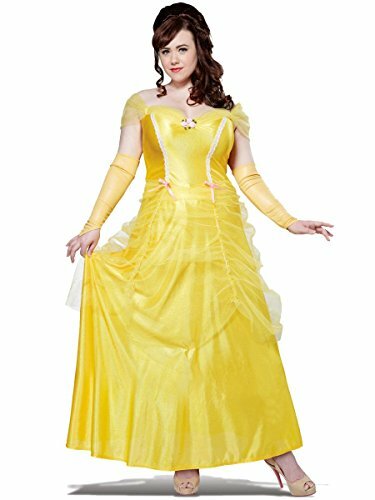 Live the adventures Belle yearns for in our Belle Village Dress Deluxe Adult costume. Dress features crinkle linen undershirt with ribbon trim detail on attached vest. 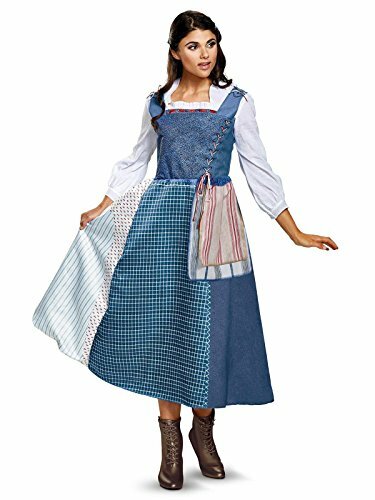 Skirt has patchwork of fabrics and Belle's attached tea towels to create her signature village dress. Dress up for a magical night with Qubskry enchanting beauty costume with embroidered ribbon trim and rosette accents. 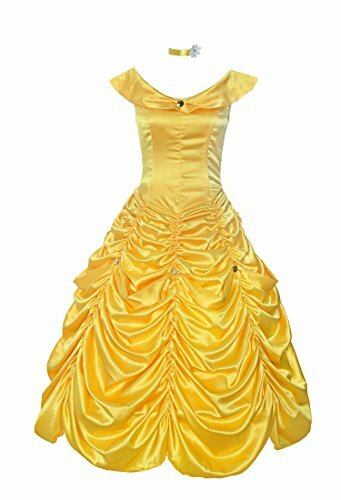 The glitter yellow dress and head band will take everyone's breath away when you enter the room. With attached clear straps, you are secure to dance the night away. 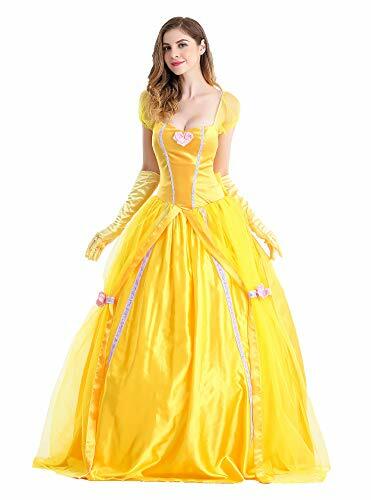 What's a princess without her prince check out our men's beastly accessories for an amazing couples costume! 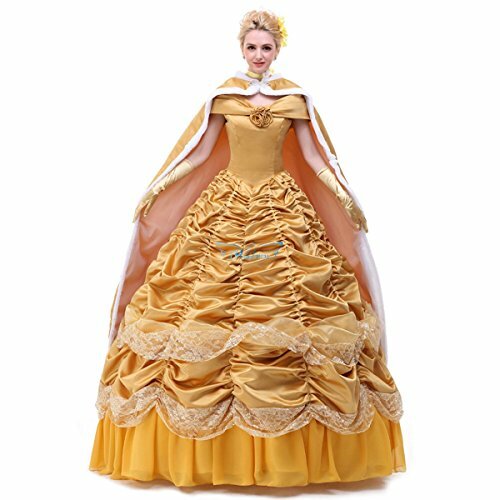 Step into the lead role of one of animation's greatest movies of all time, Beauty and the Beast. 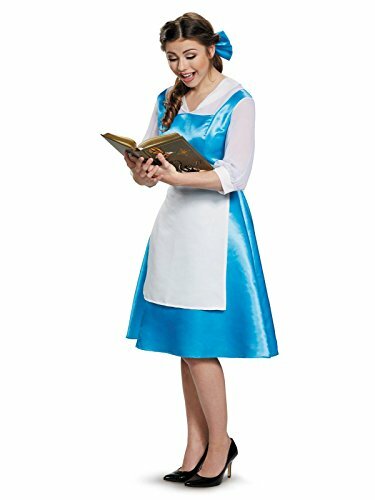 Become the film's hero with the Belle Blue Dress Adult Costume. This pretty outfit is modeled right after the one seen on-screen. It's cute and nostalgic! 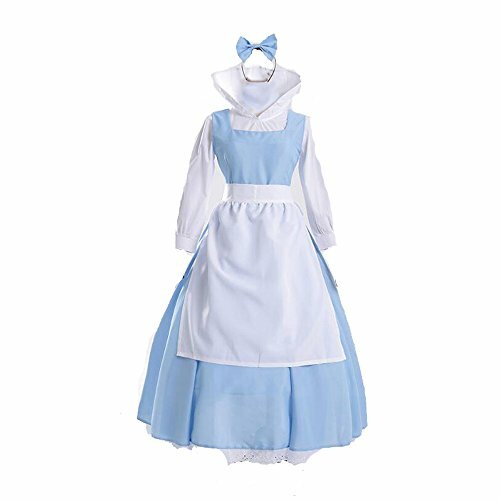 This product includes the blue and white dress, the apron and hair bow. 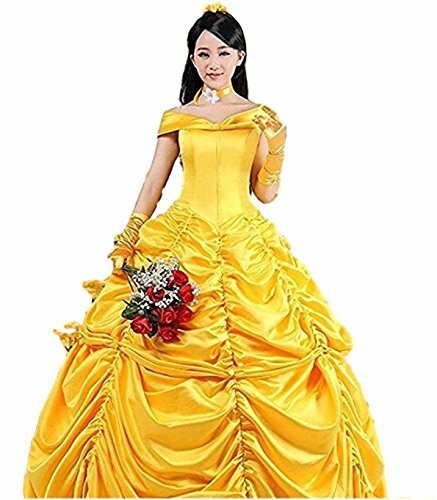 Become a Disney Princess this Halloween.